It is my observation that too often, when a problem arises, that we focus more on how to rescue and soothe than how to resolve. Have you noticed that too? In my view, the world is fixated on improving itself with outer remedies; plastic surgery, political policies, police departments. They are all necessary, if expensive. They’re all utilitarian. And they have a shelf life. But they provide no transformative fix for the problem. They seek to resolve an immediate crisis, nothing more. This is us and it reminds me of a mostly overlooked reality; in most of life, even in ministry, we focus on symptoms, not causes. Now don’t get me wrong, dealing with symptoms is necessary. For the result of a problem or accident is often a person in perilous need. That is why we have mountain rescue teams, policemen, firemen, emergency rooms, Doctors and nurses, Band-Aids and aspirin, right? I have a son who is a fireman. All day long, every day, his profession is mostly responding to problems and dealing with symptoms. He cuts open cars to pull out drives or passengers after there has been an accident. He straps on an air tank and mask to enter a burning home while pulling a hose in to douse the flames, looking for someone to pull from the “problem”. A small percentage of his job is to go into businesses to inspect the premises for proper fire code adherence or suggesting improvements, when necessary, in order to prevent a fire or other type of accident. But mostly he cleans up after an accident, driving a victim to the hospital in the Paramedic van. Now don’t get me wrong, I am glad we have responders to accidents, someone to treat the symptoms of the injured. Heavens, if I get smashed by another car in an intersection, I want someone to come, quickly, to administer aid to my symptoms. But at some point we need to address causes – was the light broken, was I driving too fast, was the other motorist drunk, did the brakes fail on my car? Fix what causes accidents and there will be fewer people lying, bleeding, on the street, metal parts and pieces strewn across the intersection. Soothing symptoms is meaningful but solving the problem is better. If we can dare to address the cause of our social and personal problems we can move on from emergency response to abundant living – the kind Christ came to bring and offered for free (John 10:10). Honestly – think about it. Consider this assortment of typical social ills. Fix what moves a person to over drink, to rage, to abuse, to abort babies, to steal from others and you can alleviate all the attention and money spent on alcoholism, murder, foster parenting, picketing abortion clinics, and lobbying your congressman. In fact you can actually stop the revolving door at the courts and the jails! All that time, all the money, all that angst and what have you fixed? Nothing, just tempered the problem by applying a temporary stay by way of addressing a symptom. I am not dreaming. There is a way to do this – but only one way. Consider this; consider life and all is social maladies. What tends to be at the fount of social problems? Sin. And who tends to be at the fount of social problems, the one responsible for sin? Statistics and observation tell us its men. Men cause most of the social problems in a society. Sure women behave badly too, and women sin, but I have not seen a bad acting woman that wasn’t first infected, stung, by a bad man. And not only do statistics and observation demonstrate the fact that men are at the root of the world’s problems – which is sin, acted out in society – but theology states the same. Men were created first (Genesis 2). Paul says that is a big deal (1 Timothy 2:13) that makes him the responsible one in life, in marriage in a relationship. Therefore, men need to “man up” and take responsibility for their actions, for the privilege to lead and the influence they wield on others. It was through a man that sin first entered the world (Romans 5:12). It is man who has infected the world and it is he who passes on the “sin gene” to his children through their mother! This is why the virgin birth was so necessary. The Messiah’s mother had to have a sinless child if he were to qualify to bear the sins of the world (Isaiah 53; 2 Corinthians 5:21). Mary needed to conceive miraculously, through the Holy Spirit, so that the “sin gene” would not be found in her offspring; Jesus. This way he could identify with humanity – being a real man – but could stand in for us as our judicial substitute as our payment for sin, being sinless. AND, as God, he would be able, to infinitely pay for the sins of the whole world. Therefore we men need to recognize our need for Jesus to forgive us, save us, change us and repurpose us for a responsible life, which is good, glorifies God and is a blessing to our families and all of society. Therefore, I propose that we fix men. And there is only one way to fix them (it is the same with the women, too); it’s with the gospel. It’s the Jesus way; John 14:6! This is why men’s ministry is so necessary, the gospel an imperative. No one gets “fixed” outside of the gospels’ redeeming and transformative affects; which are miraculous, not human. And society won’t change until we change the hearts of men who God created to serve the planet with healthy spiritual leadership/responsible living. This is exactly what Paul urged and expected (1 Timothy 2; 1, 2). And it’s exactly what we’ve seen, in the Master’s Men ministry. I hope this makes sense to you and you will join us in reaching and changing men through the gospel. By the way: Here is my unabashed take on this issue. Given my upbringing, and all succeeding experience in life and ministry, reality has proved, viscerally, to me that a godly man in a home beats a good man, and a good man beats a bad one. 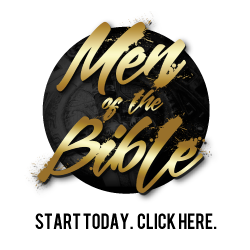 THEREFORE: I want to see Christian men align with other Christian men in order to help them reach their unsaved relationships with the gospel AND set up an environment that will enable them to disciple those men, toward maturity in Christ. How do you do it: Let us help you. We have a proven approach called the Master’s Men Method; M3. The functionality is “Teams”, which are small discipleship groups for men that are OUTREACH oriented. Where to do it: We suggest you gather men from where men hang out, where they are most comfortable given their gender wiring. We’ve found that unsaved men least like to go to church or school but prefer business and sports. This is why we suggest you choose those domains to reach men. In other words, “Fish” where men are. Do you need help? If this sound right to you – to reach men in order to change men, families, communities and country – but you aren’t sure how to start, contact us, this is what we do. We would love to speak with you to find out how best we can help you achieve the life, the ministry, the maturity of Christ that you desire. Please contact us at mastersmen.com. We, at Master’s Men will get right back to you with one of our staff to begin the conversation – and the conversion of your world! PS: Statistics and personal experience teach us that if you lead a child to Christ, you have a 3% chance of getting the whole family saved and in church. Reach a woman and you increase that result to 17%. But reach a man and you have a 93% chance of seeing the gospel transform an entire family. And we know that family leads to neighborhoods, neighborhoods to communities and communities to the country. This is why with the limited brain power, and time, we have, we reach men. I hope you will consider working with us.